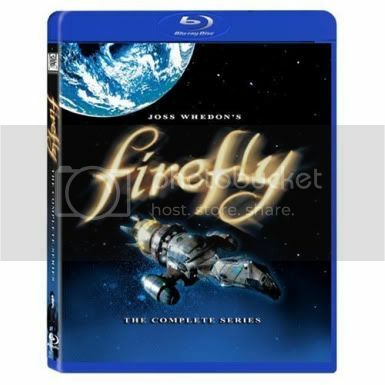 For today only, Amazon has knocked down the price of Firefly: The Complete Series on Blu-ray to $39.99, which is 56% off the list price of $89.98 and $15.00 off yesterday’s price of $54.99. Sure, this is an amazing deal, and sure, every additional consumer dollar spent on Firefly increases the chances–albeit slim–that we’ll get even more episodes someday. Buy, hey… no pressure. It’s not like the economy needs your help. So don’t go buy this Blu-ray right now or anything. My 2 favorite directors are Sam Raimi and Tim Burton. It’s hard to choose between the 2, but I’d have to say Sam Raimi. Why? Because my 2 favorite cameo actors are in his works…..Bruce Campbell, whose work is not recognized for the great stuff it is (for example: the scene in Evil Dead 2 when his possessed hand and arm try to kill him!!! Wow!) and Ted Raimi. It is fun to try to see where and how many characters Ted is portraying. My 2 most favorite “Sheps” would likely be in ANY Sam Raimi movie. If I were in a Sam Raimi film, I’d have a chance to meet and watch close-up both of my guys! Go Bruce! Go Ted!! !